A forthcoming program aimed to stabilize retirees’ finances will help connect the dots for those striving to establish their post-working life’s income. The program is being established by Jack Guttentag, a.k.a. “The Mortgage Professor,” who has long been a proponent of reverse mortgage use. 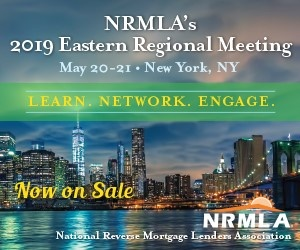 He identifies issues ranging from “defined contribution” 401K plans through “unmanaged home equity” as obstacles to a stable retirement, which he says could be further stabilized by strategically incorporating a reverse mortgage into a more diverse retirement portfolio. Writing in a series of columns at Forbes, Guttentag first discusses a series of weakness that both precede and succeed the modern transition from work to retirement centered primarily on defined contribution plans, which he says poses some serious problems for incoming retirees. Guttentag describes a major post-retirement weakness as “unmanaged home equity,” where retirees may have a significant portion of their wealth in their homes. “The conversion of home equity into spendable funds using a HECM reverse mortgage is ad hoc and separated from the other elements of retirement planning,” he explains, adding that like the purchase of an annuity, it has to be done of the retiree’s own volition. Calling this project the “Retirement Income Stabilizer,” Guttentag uses his second column about the project to discuss a common conundrum for retirees: identifying how much to withdraw from their retirement savings over the course of the rest of their lives in order to ensure that money is used sustainably. Naturally, most retirees will be advised to adhere to the widely advised “4 percent rule,” named as such for the percentage of the full fund’s worth someone can typically withdraw on a monthly basis to maintain the fund’s sustainability for the remainder of the retiree’s life. While it has a virtue of simplicity, Guttentag writes, it can become problematic if that retiree is long-lived, and offers Combined Asset Management and Annuity (CAMA) that he says “eliminates” the risk of catastrophe since the annuity runs for life. The third column focuses entirely on how the Home Equity Conversion Mortgage fits into the Retirement Income Stabilizer. He describes the HECM as having a great deal of unrealized potential, which is further limited by the HECM program’s losses that put its existence at risk. In order to stem losses to the HECM program from the Department of Housing and Urban Development (HUD) Mutual Mortgage Insurance (MMI) fund, Guttentag says that seniors need to stop using a HECM as a “last resort,” while a wider swath of borrowers need to use a HECM by “integrat[ing them] into plans that provide assured flows of spendable funds throughout retirement.” This way, significant losses on the program will not be imposed, he says. Guttentag summarizes his point and why the HECM is being integrated into his forthcoming Retirement Income Stabilizer by saying, “HUD should encourage the inclusion of HECMs in retirement plans, and discourage stand-alone uses” in order to stem losses to the HECM program on the MMI fund. “One way to do this is to lower the insurance premium on any HECM transactions in which retirees document assured funding sources that equal or exceed the sum of their property taxes and homeowners’ insurance premiums,” he says. Find all three of Mr. Guttentag’s columns by visiting his Forbes author page.